During the sixties, many singers and groups made the journey to EMI House, in Marylebone, in the heart of London’s West End. The meeting that they were about to have, they know, had the potential to transform their lives. At stake, was that all-important recording contract. While it was tantalizingly close for some, securing a recording contract was as likely as finding gold at the end of the rainbow. They didn’t have the necessary star quality. As a result, the dream was over. All their hard work had been vain. The weeks, months and years they had spent travelling the country, and singing and in pubs and clubs had been for nothing. With their dream in tatters, reality was about to hit home, and they were faced with finding a job outside of music. The tedium of the 9 to 5 grind beckoned. They were the unlucky ones. The lucky ones travelled in hope to EMI House, and carried themselves with an air of expectancy. They realised that this was their time, and that they knew were going to leave EMI House having secured that all-important recording contract. These singers and groups were the lucky ones. This includes those that feature on Marylebone Beat Girls 1964-1967, which was recently released by Ace Records. 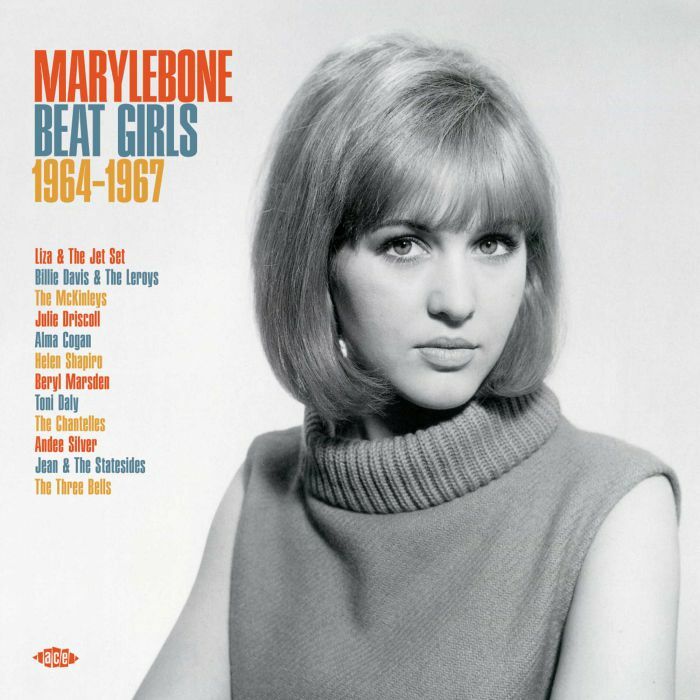 Marylebone Beat Girls 1964-1967 is the third in Ace Records Beat Girl series. The series began in March 2016, when Love Hit Me! Decca Beat Girls 1962-1970 was released. Just a month later, Scratch My Back! Pye Beat Girls 1963-1968 was released in April 2016. Now fifteen months later, Marylebone Beat Girls 1964-1967 has been released on CD and LP. The LP features twelve tracks and the CD twenty-five tracks. These tracks were released on the Parlophone, Columbia and HMV labels, whose headquarters were in Marylebone, in London’s West End. Each of the artists that feature on Marylebone Beat Girls 1964-1967 made the journey to EMI House. Many of the artists and groups that journeyed to EMI House were young, and just embarking upon a musical career. Most of them, were just teenagers, and had never been near a recording studio. Some of them, had never been to Swinging London, which between 1964 and 1967 was very different to the provincial towns many of the artists came from. This must have been a shock to their system. Other artists on Marylebone Beat Girls 1964-1967 took everything in their stride. This included watching as the British Invasion bands arrived in America, and transformed music stateside. They also watched as flower power and the psychedelic revolution arrived in London. Suddenly, happenings were the order of the day, where groups like Pink Floyd provided the psychedelic soundtrack. 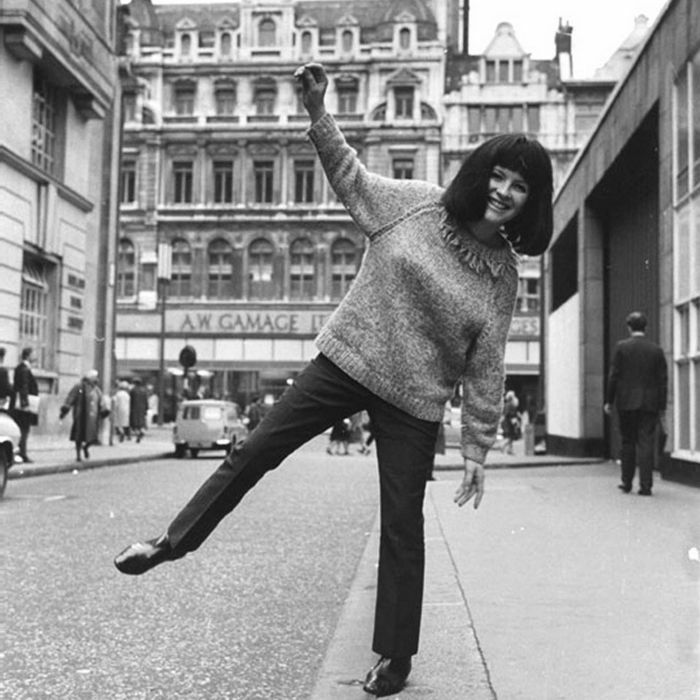 By then, some of the artists on Marylebone Beat Girls 1964-1967, including Julie Driscoll, Alma Coogan, Cilla Black and Barbara Ruskin’s careers were well underway. They had already released a couple singles, and enjoyed a degree of success. Some of these artists, would go on to enjoy long and successful careers. However, others weren’t so successful, and there was no gold at the end of the musical rainbow. For the twenty-three artists and groups that provide the twenty-five songs on Marylebone Beat Girls 1964-1967, their fortunes varied. Some became familiar faces, and even became household names between 1964 and 1967. Others didn’t enjoy the same success, and only recorded a couple of singles. These will be new names to many people, and join some familiar faces on Marylebone Beat Girls 1964-1967. It features twenty-five tracks from Alma Coogan, Helen Shapiro, Julie Driscoll, Barbara Ruskin and Cilla Black. They’re joined by Andee Silver, Beryl Marsden. Cindy Cole, Judi Johnson, Toni Daly and Valerie Avon, plus groups like The Chantelles, The McKinleys, The Three Bells, The Three Quarters. These are just a few of the artists on Marylebone Beat Girls 1964-1967, which transports the listener back to the sixties. Liza Strike was a Lond based session singer before she recorded Dancing Yet with Liza and The Jet Set. This Windsor King composition opens Marylebone Beat Girls 1964-1967 in style. It sounds as if it would be a floor filler in the smartest discotheque’s in London’s West End. After the release of Dancing Yet, Liza and The Jet Set became The Soulmates. However, Lisa Strike’s best known as one of the backing vocalists on Pink Floyd’s Magnus Opus Dark Side Of tHe Moon. Having served their apprenticeship singing in working men’s clubs, the Edinburgh-based duo The McKinleys signed to Parlophone in 1964. One of a trio of singles they released during 1964 was a cover of Sweet and Tender Romance. It features a young Jimmy Page on guitar, during his days a session musician. He unleashes a blistering solo between 1.12 and 1.27, that’s the cherry on the top of this delicious musical cake. Julie Driscoll is one of two singers that feature twice on the compilation. Her first contribution is Don’t Do It No More, which as released as a single on Parlophone. 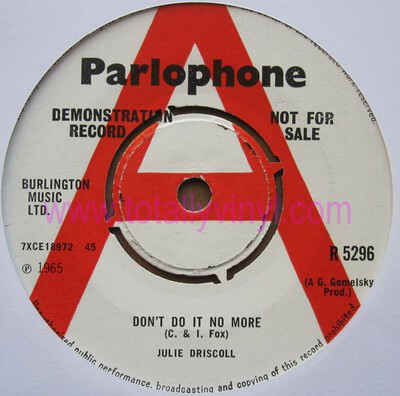 It features a vocal, that is a mixture of emotion and insecurity at the thought of the almost inevitable betrayal The second contribution from Julie Driscoll is I Know You Love Me Not, which was penned by Brian Godding of the Blossom Toes, and released as a single in 1967. Giorgio Gomelsky’s dramatic production style is the perfect accompaniment to Julie Driscoll’s soul-baring vocal. Helen Shapiro’s recording career began when she release hits with Don’t Treat Me Like a Child in February 1961. She then enjoyed number one singles with You Don’t Know and Walking Back To Happiness. 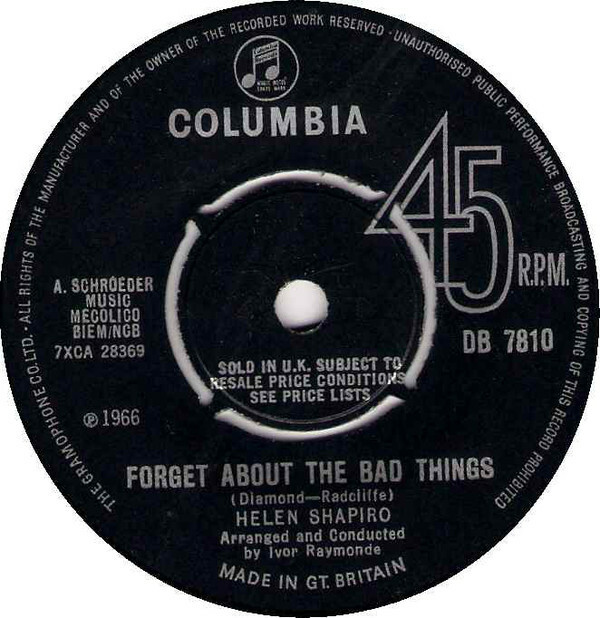 By the time Helen Shapiro released Forget About The Bad Things, he had eleven hit singles to her name. However, that was the past. Two years had passed since her last single, and she would never enjoy another hit single. That was despite the quality of Forget About The Bad Things, which features an impassioned, powerhouse of a vocal. A year later, Helen Shapiro released She Needs Company, which also failed to find an audience. 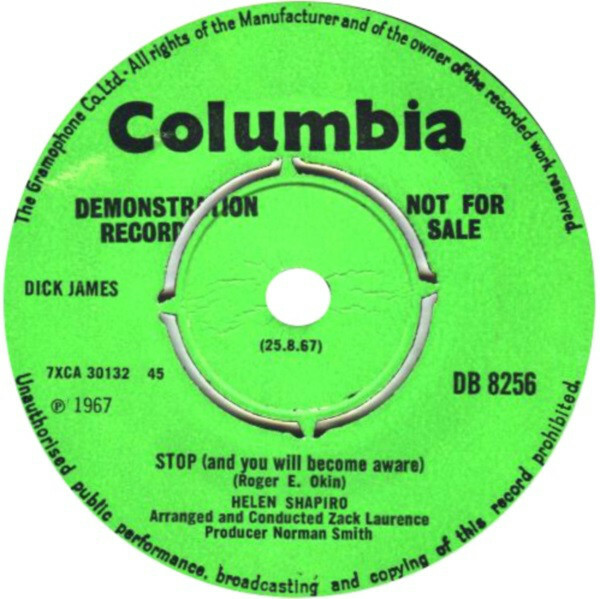 However, hidden away on the B-Side was Stop And You Will Become Aware, which is something of a hidden gem, and sounds as if it would go down well on the Northern Soul scene. Marie Antoinette Daly was only fourteen when she released Jenny Let Him Go as Antoinette. This was the first of six singles that Antoinette released. By 1966, Marie Antoinette Daly was sixteen and had reinvented herself as Toni Daly. Her debut single as Toni Daly was The Big Man Said in 1966. It was released on Columbia, and features a powerful and expressive vocal that delivers the eddy lyrics against a dramatic arrangement. Sadly, the single failed commercially and Toni Daly never released a followup. Incredibly, her recording career was over by the time she was sixteen. The Liverpool-based trio The Three Bells’ recording career began in 1960 at Pye, where they released two singles. By 1964, The Three Bells had signed to Columbia in 1964, and they set about promoting the trio. They made appearances on various British television shows, promoting the two singles they released on Columbia. 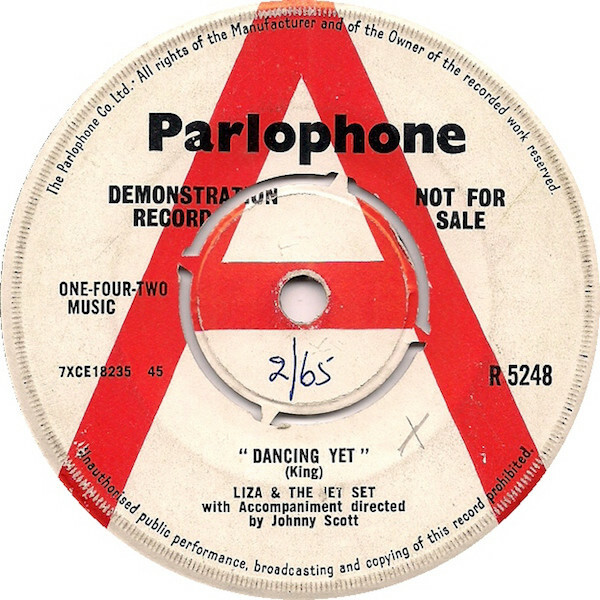 This included He Doesn’t Want You, an incredibly catchy and memorable single that brings back memories of early sixties British pop. She Trinity were a girl-group from South Shields in the North East of England. 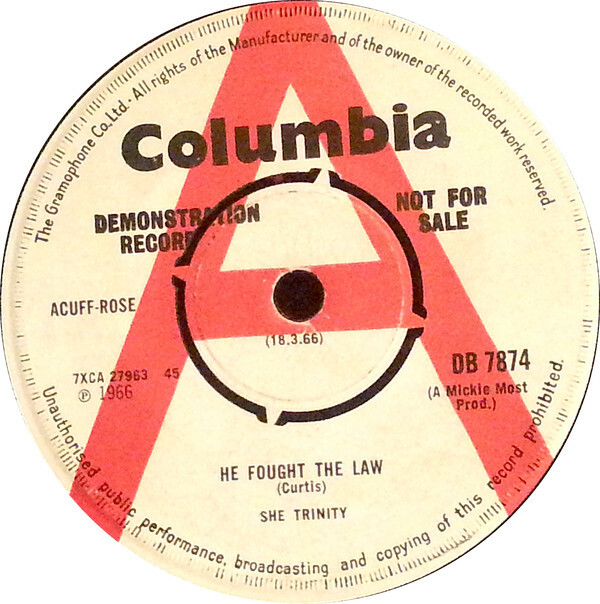 They covered Sonny Curtis’ I Fought The Law which became He Fought The Law which was produced by Micky Most. His production is very different to other covers, and the song takes on a much more melodic sound thanks to She Trinity’s vocals. It’s the polar opposite to The Clash’s snarling cover, which was inspired by She Trinity’s version. For her third single, Katherine Farthing a.k.a. Peanut covered The Beach Boys’ I’m Waiting For The Day which featured on their career defining album Pet Sounds. 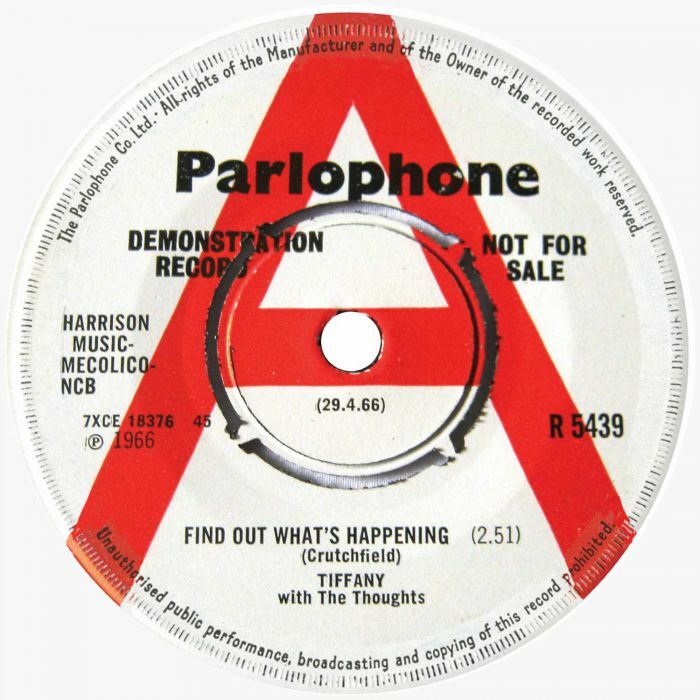 I’m Waiting For The Day was arranged and produced by Mark Wirtz, and released on Columbia in 1966. Peanut’s vocal is full of emotion and understanding, during this beautiful cover of I’m Waiting For The Day. 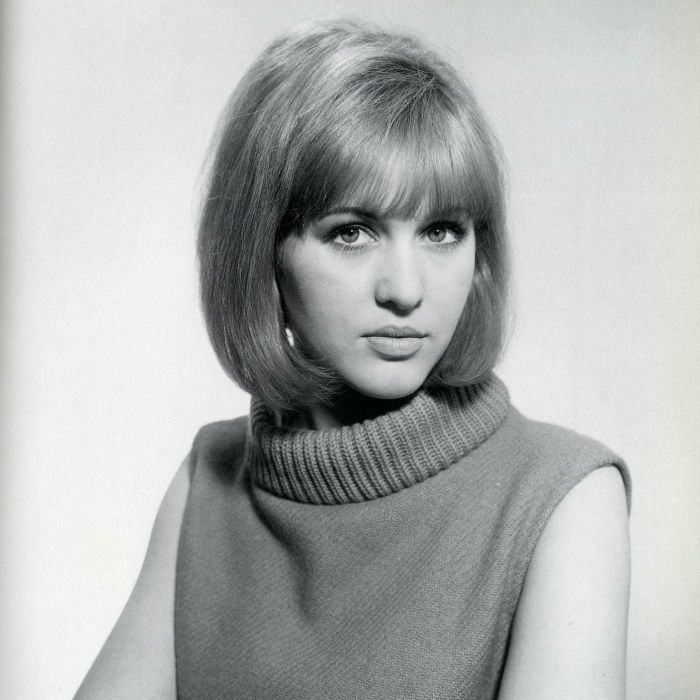 In the summer of 1966, Cindy Cole released her sophomore single Lonely City Blue Boy. 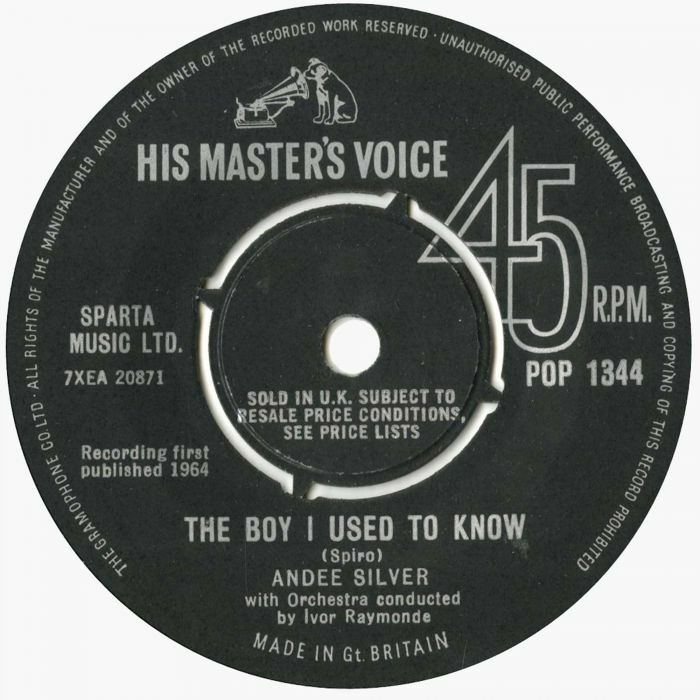 It was released on the Parlophone label, but never made any impression on the charts. That is a great shame, as it’s a memorable and melodic slice of sixties pop. 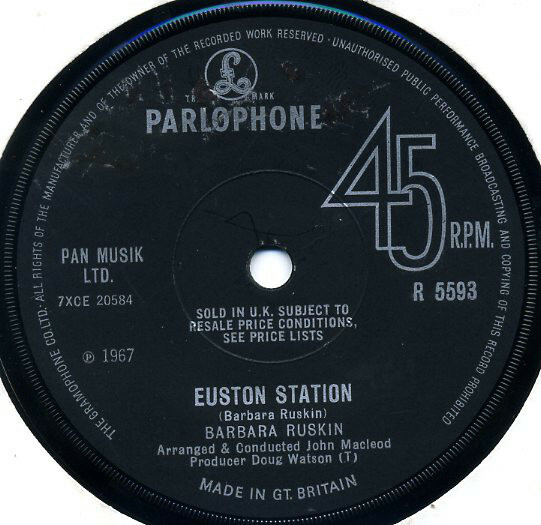 Two years after releasing her debut single, Barbara Ruskin released Euston Station as a single. It was written by Barbara Ruskin and produced by Doug Watson. The cinematic Euston Station was released on Parlophone in 1967, and features a rueful vocal from Barbara Ruskin. In 1967, singer, songwriter and producer Valerie Avon covered the Goffin and King composition He Knows I Love Him Too Much as a single. By then, Valerie Avon had been in the music business for the best part of a decade. She was one of The Avon Sisters, whose one and only singer Jerri-Lee (I Love Him So) was certified gold in 1958. Nine years later, and He Knows I Love Him Too Much became Valerie Avon’s only single. It features an impassioned, expressive vocal on this beautiful, angst-ridden ballad. Talents shows are nothing new, and were around way back in the sixties. Judi Johnson was one of the finalists on Search For A Star, in September 1964 and won her a recording contract with HMV. Judi Johnson’s debut single was My Baby’s Face, which featured Make The Most Of It on the B-Side. It features a hurt-filled vocal, that is tinged with sadness and regret. This poignant and thoughtful reading of Make The Most Of It closes Marylebone Beat Girls 1964-1967. It’s a reminder of the quality of music that was being recorded at EMI House between 1964 and 1967. EMI’s various imprints had an enviable roster of artists, which included some of the top British female pop singers. This included Alma Coogan, Barbara Ruskin and Cilla Black and Helen Shapiro. A year earlier, it would’ve included Helen Shapiro, who between 1961 and 1963, could do no wrong. She had enjoyed eleven hit singles during that period. However, that success was in the past. Never again would she enjoy another hit single. Commercial success can prove illusory, even for some of the most talented singles signed to EMI. Talented female singers certainly weren’t in short supply at EMI. Andee Silver, Beryl Marsden. Cindy Cole, Judi Johnson, Toni Daly and Valerie Avon, plus groups like The Chantelles, The McKinleys, The Three Bells, The Three Quarters were all signed to the Parlophone, Columbia, HMV labels which were based in EMI House, in Marylebone, in London’s West End. Sadly, not all these artists and groups enjoyed the commercial success their talent deserved. While a lucky few artists enjoyed a successful career, commercial success was fleeting for other singers and groups. Other times, commercial success eluded artists. This led to many a career that was all too brief, and promise that went unfulfilled. Some artists and groups only released one or two singles, before calling time on a career that promised much. It was a case of what might have been. A reminder of this is Marylebone Beat Girls 1964-1967, which is the latest instalment in Ace Records’ Beat Girls’ series. 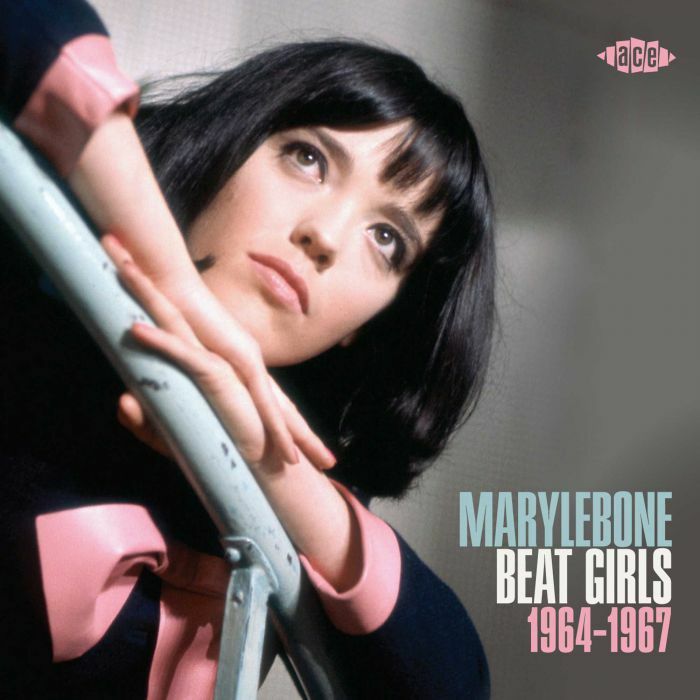 Marylebone Beat Girls 1964-1967 is a mixture of hits, hidden gems, near misses and B-Sides. Each of these songs have one thing in common…quality. Even Judi Johnson’s B-Side Make The Most Of It showcases a talented singer. The remainder of the hits, hidden gems and near misses on Marylebone Beat Girls 1964-1967 literally ooze quality, and are a reminder of what was a golden era for British pop, when the Beat Girls ruled the airwaves. ← MODERNISTS: MODERNISM’S SHARPEST CUTS.